This trail used to be part of the White Pine downhill mountain biking trails. You will see blue diamonds posted throughout the trail. It is an old pack trail, it starts out going gradual uphill through trees into a large park, the trail continues to go left (east) towards the wilderness boundary, you want to look for the fence post and turn right (south), the trail is overgrown and hard to see for a couple hundred yards, once you crest the park a trail will be evident for another couple hundred feet. Then it dies out through the meadow and across the stream, once you get to the stream and into the trees the trail is very evident all the way down. The slope increases, you pass an extremely large evergreen (Queen Tree!) and will get to a big sagebrush ridge. 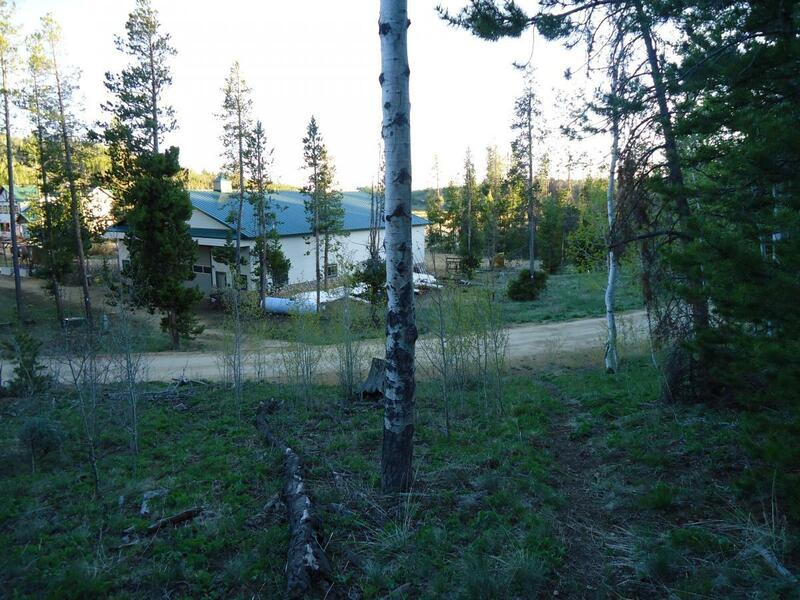 It is steep and curvy, you will come out on some flats behind the White Pine Condo's, follow the trail and you will come out in between the condo's and the maintenance shop. Review: Hiked a bike up from White Pine and rehabbed (sage work, dead fall, removed large loose rock) the trail this week. Great down hill trail with wide open fast flowy sections at the top/bottom and tight, steep, technical rock sections in the middle. Road up to within 1/4-1/2 mile of Elkhart where trail ends and (supposedly) begins again after big section of Alpine Meadow. Riding through the meadow xc without trail is sick and full of natural features to play on. Best trail around for sure. Hoping to shuttle from Elkhart soon and will post more beta. The hike up from WP to the meadow is worth while, though. Best ride around. The section I rode was 1.7 miles one way, 1200 ft elevation loss. So good. Similar Trail: White Pine Mountain Bike Trails. Review: We started from the bottom because we thought it wasn't that steep (ride up ride back). Don't kid yourself, do the shuttle. It was rocky, overgrown, and tight curves, there were definitely places I got off and walked. This is definitely for a more experienced rider. The trail would be a lot more fun with some trail maintenance. Could be awesome. Elk Chase #2 MTB Trail 3.50 out of 5 based on 2 ratings. 2 user reviews.